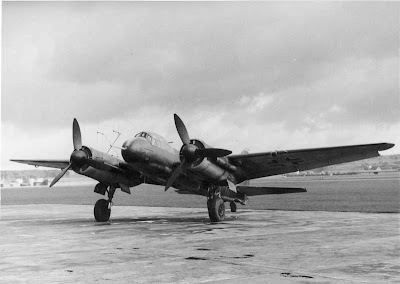 One of the most modern nightfighters in the Luftwaffe's fleet was this G-6 'C9+AR' (WNe. 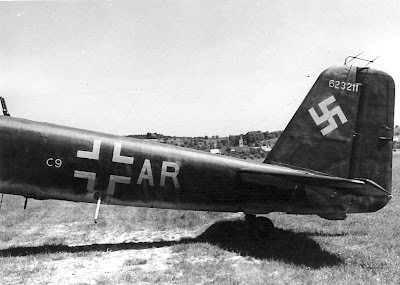 623211) used by 21-victory NJG 5 ace Hptm Werner Hopf to desert to Swizterland on the night of 30 April 1945 in a flight from Lübeck-Blankensee to Dubendorf. Note the dark camo finish applied for the unit's last sorties around Berlin - night ground attack sorties against Soviet troops. Also on board Hopf's aircraft were two fellow officers, two women and a child. Hopf was a former Staffelkapitän of 8./NJG5 and had been awarded the Deutsche Kreuz in Gold, the 'gong' awarded ahead of the Ritterkreuz..
Ju 88 B4+SA, W.Nr. 623363 from Nachtjagdstaffel Norwegen (NJGr 3)which landed at Bredakra, Sweden, 1945-05-08. 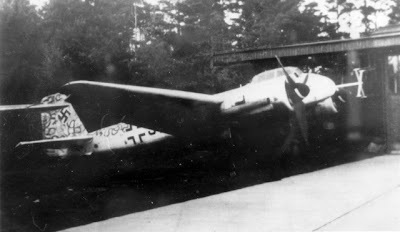 The aircraft had been ordered to fly to Kurland from Trondheim and assist in the evacuation of encircled German forces but was forced to land in Sweden after experiencing engine problems. Crew was Hptm. Werner Hüschens and Ofw. Sebastian Falk. Crew repatriated to the Western Zone. Aircraft was scrapped in 1947.